and if Indian Guru, Sai Baba, is right when he tells us that life is a game, play it! THE WAY YOU LIVE YOUR LIFE? 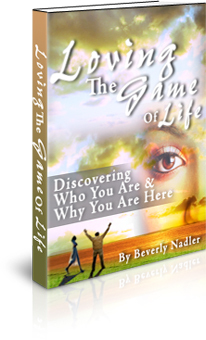 Hi, I'm Beverly Nadler, author of Loving the Game of Life. When you know who you really are and why you are here, what is meant by “the illusion” and “the game”… and you discover the many “missing pieces” in most personal growth, motivational and spiritual books, you will play the game of life differently -- and your life will never be the same! Never! This fascinating and extremely enjoyable ebook takes you on a journey of discovery! You will read the well-researched material for yourself -- from secret ancient wisdom teachings, to Eastern and Western Philosophers, to Mystics and Metaphysics, to Psychology, to Physics and Quantum Physics. With this knowledge, wisdom and understanding, you will believe, appreciate and experience the deeply hidden truth about your Self and your true Power! What if who you really are is a non-physical Infinite Being -- filled with unlimited Power, Joy, Love, Peace, Abundance, Creativity, Wisdom and Knowledge. What if the Universe is your friend and you are always safe, regardless of outer conditions that appear otherwise. What if everything you just read is TRUE? Would your life be different? How could it not be? Here are a few of the remarkable benefits of reading "Loving the Game of Life"
Live your life with a sense of TRUE JOY! Here's what others say about this life-tranforming book! “We love your book! You are just so clear on the spiritual/metaphysical/quantum dynamics that make up this fantastic play we are all part of. You have once again made plain the marvelous mysteries of our fantastic existence. Your book is a clear guide to how all aspects of life work from the inside out. Like your last book, we will be recommending “Loving the Game of Life” to all our clients, students and friends." "Beverly Nadler's descriptions, with detail and clarity, of her journey from modalities that work some of the time to one that can work all the time if you use it, and her insight about how every detail of our lives is created by us, is so earth shaking that this book goes beyond all others in leading us to expansion into “who we are” as infinite Divine Beings." Read the Table of Contents and you'll agree this is the one book that finally addresses the challenges of life in the 3rd dimension, as no other book or teaching has. Discovering Who You Are and Why You Are Here! 22. What About Our Physical Body? 23. So…Are These Illusions Too? 28.How Do We Change the Rules Of The Game? 29. What Will Life Be Like in Phase 2? “The One and the Many” refers to our relationship to the Creator. When you understand the concept of “The One and the Many,” you know that you are never separated from your Source or from anything in the Universe. "I Am Impressed!!! 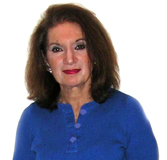 Beverly Nadler has exceptional skills in explaining the unexplainable. Her writings are the practical interpretations of so many philosophers, teachers, poets, scholars of the Ages that have a powerful message. This awesome book is the encyclopedia, "The Bible" of life. It is a detailed explanation of the Who, What, Where, and Why of our being, our Infinite Oneness." "I just completed ‘Loving the Game of Life!' I feel more expanded and clearer having read about my favorite subject. There was a rush of ecstasy while reading a certain paragraph that describes the 3rd dimensional illusion we mistake for reality. I would tell people that whether you want a more beatific dream and or you want to awaken to lucid living, this book is most useful! Much appreciation to you, Beverly, for playing your role so beautifully." ORDER NOW And you will also receive a SPECIAL BONUS! !